A.J. Burnett will be a Free Agent at the end of the 2013 Season. While with the Marlins, Ryan Dempster and Josh Beckett were ahead of Burnett in the rotation. Roy Halladay was given the nod on all three Opening Days when Burnett was in Toronto. And it was C.C. Sabathia on the mound for the first game during Burnett’s time with the Yankees. Even in Burnett’s first year with the Bucs, he fractured his orbital bone on a bunt attempt and manager Clint Hurdle opted for Erik Bedard, who was later released before the season was through. But early on in Spring Training this season, Hurdle named Burnett as his starter. 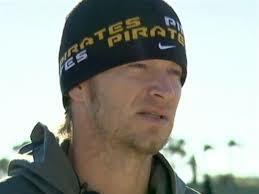 Just 29 Strikeouts from 2,000 in his career, Burnett has been worth every penny thus far to the Pirates. Perhaps it’s because the majority of those pennies are being supplied by the Yankees. New York will end up paying $20 Million of the $33 Million Burnett will earn in his two years in Pittsburgh, and still there are some that claim the trade was a ‘salary dump’. After pitching himself out of the Big Apple, he had a resurgence in his return to the National League in 2012, going 16-10 with a 3.51 ERA and 180 SO in 202.1 Innings Pitched. That must have angered plenty of Yankees fans, who expected Burnett to be one of the best No. 2 starters in baseball behind Sabathia. After a decent first year in New York, he went 21-26 with an ERA over 5.00 in each of the next two seasons, posting WAR numbers of -1.0 and 0.4. Former Yanks pitching coach Dave Eiland essentially called Burnett a headcase, stating that his head got in the way of his ability to pitch. He is not the first athlete in any of the professional sports to have a nice career going before going to New York and performing poorly. 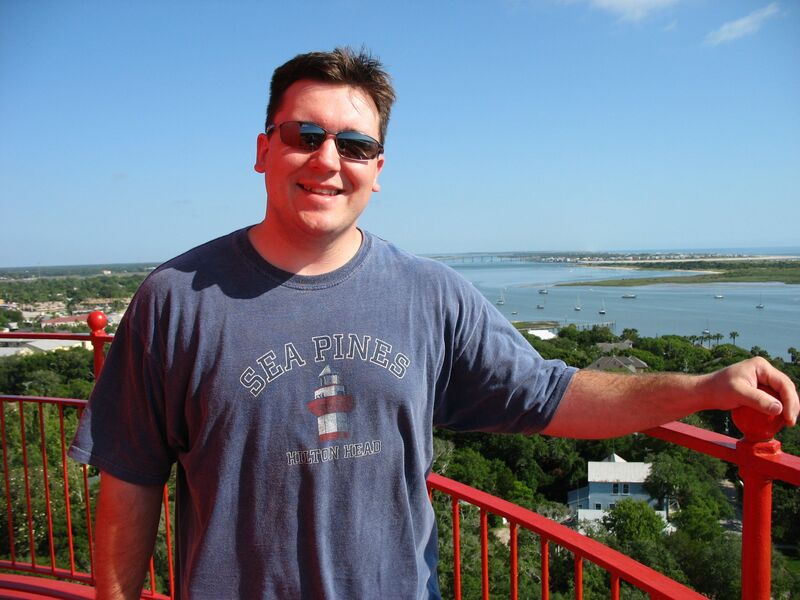 Burnett’s story rivaled that of former Yankees free-agent signings Carl Pavano and Kevin Brown. They were also perennial All-Stars in the NL, but flops once they signed. The outlier in Burnett’s case, is that he pitched in the American League with the Blue Jays prior to signing for New York and won 38 games, never posting a WAR below 1.7. So was it the pressure of pitching in New York then? Burnett admitted to trying to “impress everybody instead of just pitching” to Anthony McCarron of the New York Daily News a few months into the 2012 season and now feels as if he can relax and go about his business at PNC Park. 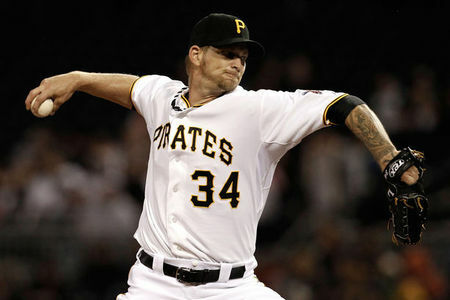 After the 2013 campaign, however, things change again and Burnett faces having to pitch for a fifth team in his career. If he has anything close to the season he had a year ago, the Pirates will likely be unable to afford him or want to pay for an aging starter despite his success everywhere but New York. Even at 37, Burnett could probably earn eight figures in a one-year or two-year deal. There’s also the likelihood that the Pirates fall back a bit and are out of the pennant race early enough to trade Burnett to a contender in the second half. It’s hard to predict now what teams would be willing or able to pay that kind of money in 2014. Rest assured someone will, though. History is on Burnett’s side, having performed very well the two times he was in the final year of a contract. In 2005 with the Marlins, he had 198 SO in 209 IP, had a 3.2 WAR and a 3.44 ERA. Three years later, in his final season with Toronto, Burnett won a career-high 18 games and led the American League with 231 SO. A.J. 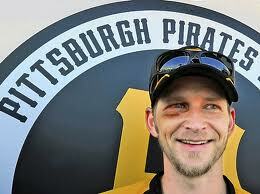 Burnett sports the black eye from a bunting attempt during Spring Training 2012 that kept him from being named Opening Day Starter. Posted on March 12, 2013, in MLB Player Profiles, MLB Teams: Articles and Analysis, The Rest: Everything Baseball and tagged 2013 pirates, 2014 MLB Free Agents, @bradcuprik on twitter, a.j. burnett, albert pujols, brad cuprik, Bradenton, carl pavano, clint hurdle, Dave Eiland, erik bedard, florida marlins, josh beckett, josh hamilton, kevin brown, miami marlins, Mike Trout, MLB Contracts, new york yankees, Opening Day Starting Pitcher, pirates baseball, pittsburgh pirates, pnc park, roy halladay, ryan dempster, toronto blue jays. Bookmark the permalink. Leave a comment.